If you attend, organize or take part in business conferences on a regular basis, you may already understand how important it can be to have a reliable source for disposable earbuds. Whether you are doing an audio presentation, or if you want have the ability to distribute them to customers for special events, there a number of solution to consider for your next business conference. One solution to consider are disposable earbuds without earpads. This is a popular solution because they are typically the most affordable and easy to wear for short term use. They are widely used in museums, libraries, hospitals and business clients around the world. Their affordable price point and the fact that they have a standard 3.5mm adapter, ensures they are compatible with most any computer, mobile device or audio products such as mp3 and CD players. The next option that is also very popular are disposable earbuds with foam earpads. They provide a soft and comfortable fit. These tend to be more popular for longer audio presentations or multi-date events. Earbuds with foam earpads can provide a snugger fit and help ensure they stay in place better than those without any ear pads. Also equipped with a standard headphone adapter, they are perfect for any device with a standard headphone jack and they come individually packaged which enables easy distribution. If you are looking for something that delivers comfort and helps reduce ambient noise at the same time, you might consider the disposable earbuds with silicone ear-tips. These are very popular because they not only provide an affordable price point, but they help form to ears to provide a sleek and comfortable fit for extended use. These also have a standard adapter (3.5mm or 1/8") that works with most any device equipped with a standard headphone jack. The best part about all of these solutions, they can help make audio delivery to attendees at business conferences easier and more affordable at the same time. You can stretch your budget, deliver stereo sound and easily distribute them as needed for multiple different events in the future. If you have a need for a larger quantity, you can get a quote and help to ensure you secure the best pricing for your business. The more you purchase, the better price you can get which helps you save even more while planning for future engagements. 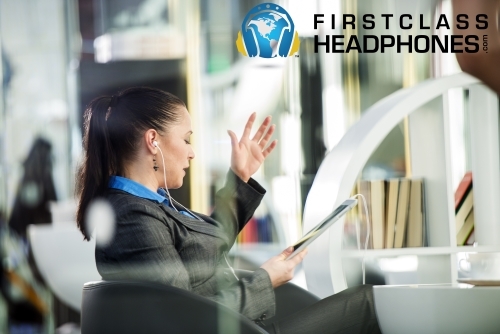 If you would like to test a trial pair before committing to a large volume purchase, you can contact First Class Headphones and their professional team will work with you to find the best solution that fits your specific needs. With fast and free shipping on certain orders within the 48 continental United States, you can make the most of your event with disposable earbuds and without breaking the bank! Business conferences require a lot of planning and First Class Headphones will help you and make the process easy and simple. We can even arrange for direct shipment to the event location with a specified date range. Thank you for reading our blog, have a great day.